The list of indications for liver transplantation (LT) includes irreversible causes of end-stage liver disease which are curable by the procedure. More than a decade ago, the American Association for the Study of the Liver Disease (AASLD) established minimal listing criteria for patients with end-stage liver disease. To qualify for waiting list, the 1 year expected survival should be <90 % without LT. Liver transplantation should lead to prolonged survival and/or an improved quality of life . Indications can be segregated into two classes: (1) acute conditions leading to a rapid and irreversible liver failure and (2) chronic diseases that can lead to liver failure and/or complications of end-stage liver disease. In the present introduction, causes of acute liver failure were discussed, whereas in the following chapters, each indication for LT was reported and analyzed. US Scientific Registry (UNOS). Richmond (VA): United Network for Organ Sharing. 2014. http://www.unos.org/. Samuel D, Charlton M, Gane E, et al. Sofosbuvir and ribavirin for the treatment of recurrent hepatitis c infection after liver transplantation: results of a prospective, multicenter study. Gastroenterol. 2015;148(1):108–17. http://dx.doi.org/10.1016/S0168-8278(14)61392-1. Ferlay J, Soerjomataram I, Ervik M, Dikshit R, Eser S, Mathers C, Rebelo M, Parkin DM, Forman D, Bray, F. GLOBOCAN 2012 v1.0, Cancer Incidence and Mortality Worldwide: IARC CancerBase No. 11, Lyon, France: International Agency for Research on Cancer; 2013 [Internet]. Available from: http://globocan.iarc.fr. Cited 2014 Mar 22. Schütte K, Bornschein J, Malfertheiner P. Hepatocellular carcinoma–epidemiological trends and risk factors. Digestive diseases [Internet] 2009. 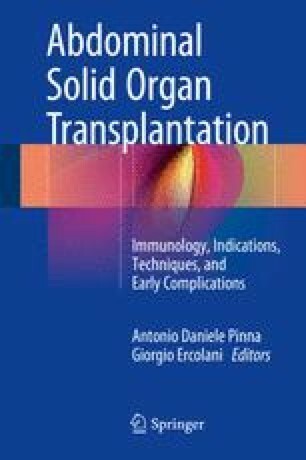 Available from: http://www.karger.com/Article/Fulltext/218339. European Liver Transplant Registry. Mortality and retransplantation. 2012. http://www.eltr.org/spip.php?article188. Accessed 27 Aug 2012. OPTN – Organ Procurement and Transplantation policy 3.6. Liver transplant candidates with hepatocellular carcinoma. Updated 31 Oct 2013. Available at http://optn.transplant.hrsa.gov/PoliciesandBylaws2/policies/pdfs/policy_8.pdf. UNOS database, based on OPTN data as of May 15th, 2009 (www.unos.org). ELTR database, update to December 31st, 2008 (www.eltr.org).